WEST PALM BEACH, Fla. – Back in the late 1970s and early ’80s, the only place hip New Yorkers wanted to be seen after dark was Studio 54. But slipping past the uber-chic disco’s velvet rope, which separated jet setters and film stars from ordinary folk hoping to gain admission to the glitzy inner sanctum, was a near-impossible feat – unless you knew, or caught the eye of, Studio 54’s charismatic co-owner Steve Rubell. The ultimate insider, Rubell partied with the arts and entertainment world’s biggest stars, including Andy Warhol, Truman Capote, Elizabeth Taylor, Liza Minnelli and Frank Sinatra, among hundreds of other celebrities. His West 54th street nightclub was known for its outrageous soirees and offbeat moments, like the time Bianca Jagger entered the club on her birthday in 1977, astride a white horse. 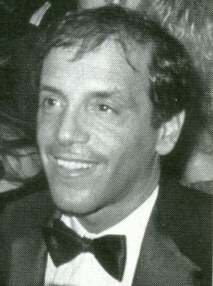 When Steve Rubell died in 1989, he left behind a virtual time capsule of unique memorabilia associated with Studio 54’s extraordinary four-year run. That portion of his estate, which has remained in situ for the past 28 years at the apartment Rubell shared with fashion designer Bill Hamilton, will be auctioned Jan. 19 by Palm Beach Modern Auctions in West Palm Beach, Florida. The archive consigned by Bill Hamilton includes hundreds of remarkable paparazzi photos of stars frolicking at Studio 54, original invitations to special events at the club, rare VIP drink tickets, and many letters and notes to Rubell handwritten by famous personalities of the day. An especially revealing “diary” of the club’s history is the Studio 54 guestbook in which Rubell would record the names of VIP guests expected on any given night. Beside each name, Rubell would indicate whether or not the person was to receive complimentary admission and drinks. Estimate: $2,000-$3,000. The collection also includes original works of fine art, such as a monumental graffiti-style painting of Rubell by Michael Vollbracht, est. $10,000-$20,000; and a bronze dollar-sign sculpture by Andy Warhol. The 20in-diameter Warhol sculpture is artist-signed and dated in felt pen along the bottom edge of one of the metal panels. Possibly unique, the piece was a gift from the artist to Rubell. It is estimated at $30,000-$50,000. Warhol chose to feature Rubell on the cover of his magazine, Interview, in February 1979. That milestone in Rubell’s life is documented in Lot 1 of the Jan. 19 auction with a grouping of items that includes a Warhol-signed copy of the magazine, a Polaroid of Rubell taken by Warhol for use on the cover, and two prints – possibly proofs – of the final cover art. The lot is expected to make $4,000-$6,000 at auction. The Studio 54 archive is being auctioned in two parts, divided by a selection of artworks and designer furnishings from the Studio 54 era. Additionally, the sale includes important mid-century modern, European, American and Brazilian furniture and decorative objects. “We chose designer pieces from several premier collections to create an auction atmosphere reflective of Steve Rubell’s lifestyle and environment. He rose to fame during a golden era when homes were decorated with ultra-chic furniture and compelling modern artworks,” said Baca. Leading the Brazilian section is a pair of circa-1950 Sergio Rodrigues prototype lounge chairs made of rosewood, leather and chrome. Originally purchased directly from the designer, the chairs are entered in the sale with a $16,000-$18,000 estimate. “The level of quality in this particular consignor’s collection is very high. They also consigned two outstanding Italian pieces by Ico Parisi – a faceted mahogany spherical bar (est. $22,000-$25,000) and a rare circa-1950 ‘duck foot’ rosewood desk (est. $25,000-$35,000),” Baca said. A private collector in Paris consigned two items by French designer Maria Pergay – a circa-1960 silver-plated tea table, est. $10,000-$20,000; and a circa-1970 silver-plated brass and wood box with belt-buckle motif, est. $1,500-$2,000. Top American designs include a circa-1960 four-poster bed with starburst finials (est. $6,000-$8,000) and pair of sophisticated brass and glass sconces (est. $4,500-$6,500), both by Tommi Parzinger. Many other high-end designers are represented in the 400+ lot sale, including Paul Evans, Gio Ponti, Armand Jonker, Guglielmo Ulrich and Milo Baughman, to name but a few. Of special interest are five glass artworks by Anzolo Fuga. The pieces include a charger and four vases, each either accompanied by a certificate of authenticity from A.V.E.M. Murano, or a confirmed reference-book example.